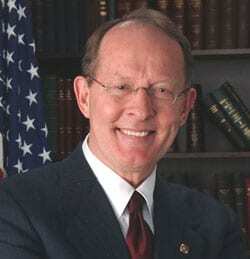 The National Music Publishers’ Association (NMPA) will present its 2010 President’s Award to U.S. Sen. Lamar Alexander of Tennessee. While Alexander’s home state is closely associated with the country and blues genres, his personal experience also extends to the classical – he is a trained pianist who, while governor, traveled the state performing with symphonies and community orchestras. More recently, he performed during the Memphis in May concert series in 2008 and at the 75th anniversary of the Great Smoky Mountain National Park in 2009, as well as at a Grand Ole Opry concert in Nashville this month when the history music venue was flooded and moved to another location after a series of devastating storms hit the area. Alexander is co-chair of the Senate Songwriters Caucus. In 2005 he sponsored legislation – now law – that provided capital gains tax incentives for songwriters. The President’s Award is announced each year in conjunction with the NMPA’s annual gathering of songwriters and music publishers in New York City. The NMPA established the President’s Award in 2005 to recognize an individual who has been a leader on issues of importance to music publishers and songwriters, and who works diligently to strengthen intellectual property protection. The award will be presented in Washington, DC, later this month.